In 1777, Jacob II married Ann Heacock of Middletown. 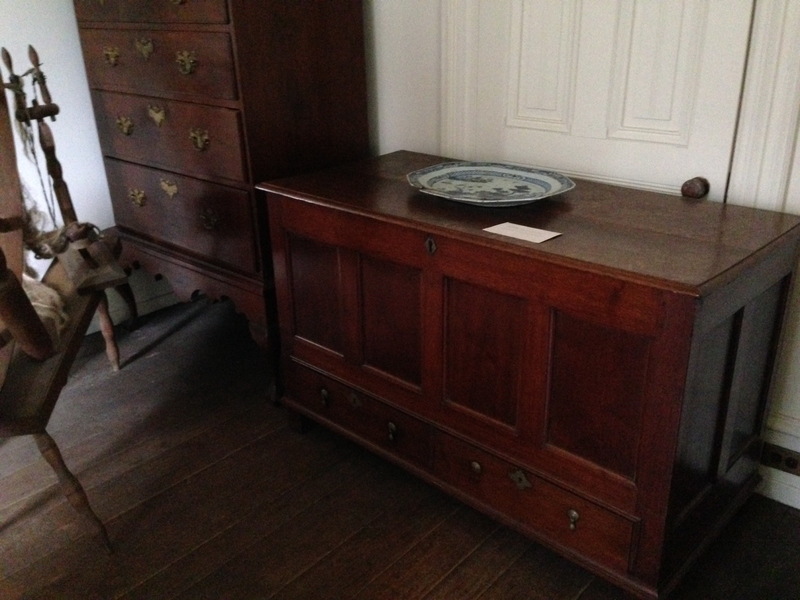 Ann’s father was a local cabinetmaker in Middletown, and from a Quaker family very similar to the Minshall family. As a wedding present Ann’s father gifted one of the premier pieces in Tyler’s collection, a beautiful paneled, walnut blanket-chest and with the extra sentiment of being crafted by his hand. Blanket chests were a very traditional present for a bride of that time, and provided the 18th century family with the perfect place to store linens and clothing. Blanket chest (on right, with plate resting on top) hand crafted by Ann (Heacock) Minshall’s father. Ann Heacock was a bit unusual for a bride in 1777. She was 35 at the time of her marriage and operated a weaving business, which gives us a hint into a related piece in our collection – the miniature blanket chest. 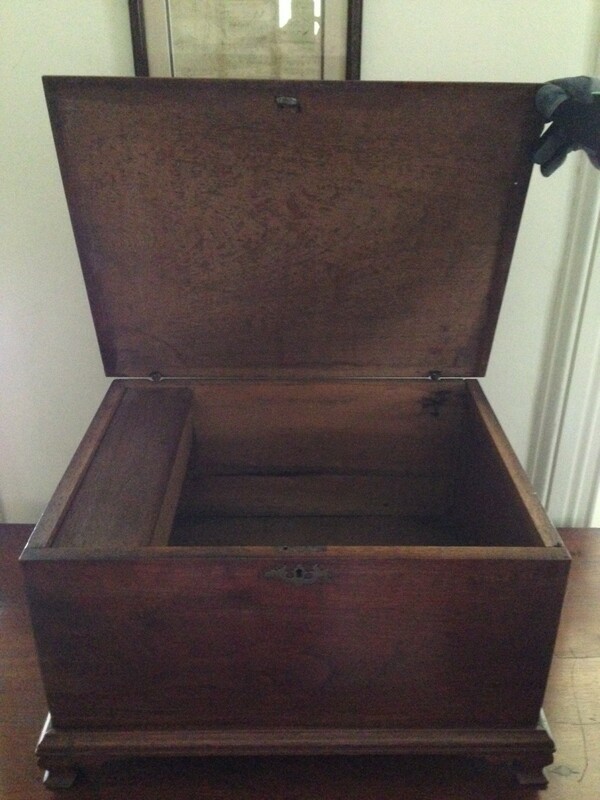 A miniature blanket chest would have been used primarily for document storage, and often on a working farm would be used as a till or cash box. Tyler’s miniature blanket chest still has its till intact.